Valid at Naturals Ice Cream Outlet. Naturals Ice Cream is deeply rooted in tradition and uses traditional methods to make ice cream. All the ingredients used are almost completely natural and are sourced from different parts of India. 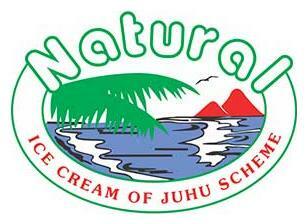 Naturals Ice Creams do not use any preservatives, stabilizers and artificial colors or chemicals. 1. In this deal, you will get Up to Rs.150 Cashback when you pay using Paytm. 2. Valid at Naturals Ice Cream Outlet. 4. Offer applicable on Android and iOS app version 7.0.0 and above. 5. One payment will be counted in only one cashback offer at any given point of time. 6. Offer valid for In-store orders only. Offer is not valid on 3rd party apps/websites like Food Panda, Swiggy, Zomato etc. 7. After your first payment, you will get a Push notification to participate in "Upto Rs.150 Cashback Offer". 8. After first payment at Domino's, Wow Momo, Bikanervala & more, you can either participate in cashback offer by going into "Cashback" section to get Rs.150 cashback on the 5th transaction within 30 days or claim Rs.10 cashback after the 1st transaction. 9. After activating the offer, you have to make 4 more payment at select food outlets through Paytm within 30 days to get Rs.150 cashback. 10. Transaction of Rs.100 or more will be considered for the offer. 11. Offer is valid at select food outlets for select customers only. If you do not receive Push notification against a transaction, then outlet is not covered under this offer. 12. If you do not participate in the offer, your transactions will not get linked in the offer. 13. You can avail this offer only thrice during the campaign validity. If you fail to complete the offer after participating in it, your offer will be expired. All expired offers after offer participation, will also be included in the maximum limit stated. 14. Cashback will be credited to your Paytm Wallet within 24 hours of completing the offer. 15. If you have not completed your KYC or have breached your monthly wallet limit, you will receive Goldback (inclusive of 3% GST). 16. Paytm solely reserves the right to change offer terms at any time without prior notice to the customers. 17. As per RBI mandate, please provide any of your government document details to continue using Paytm Wallet. Click - http://m.p-y.tm/minkyc . Please ignore if already done. Visit Naturals Ice Cream Outlet. Pay using Paytm to avail the cashback.